Kashmir is known as the valley of flowers. Among several varieties of flowers grown there, saffron has its own importance and utility. Kashmir has the proud privilege of being a place where saffron grows. 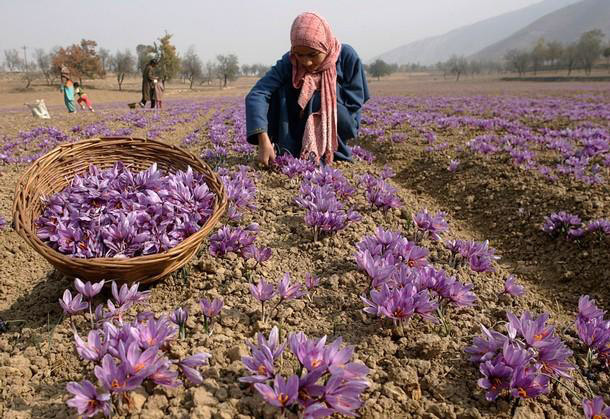 There are two places in Kashmir that are able to be a land for saffron cultivation. 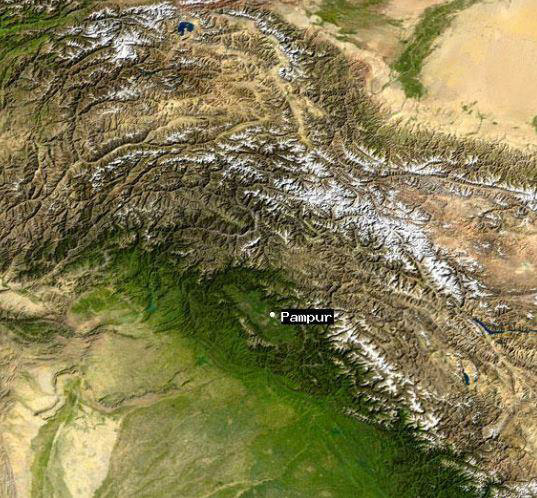 One of these two places is Pampur. Pampore or Pampur is a historic town situated on the eastern side of river Jehlum on Srinagar-Jammu National Highway in Jammu and Kashmir. It is worldwide famous for its Saffron, so known as Saffron Town of Kashmir. The area is about 11 km from Srinagar city centre Lal Chowk. Pampur is a lush and pristine area which is outstanding place for cultivating saffron. The saffron plant is very small and its flower is the only part which is seen above the ground. The harvesting time of this saffron is autumn. The best environment for cultivating saffron is cool dry climate and rich soil with organic fertilizers and Kashmiri lands are famous for this rich qualities. The stigmas of Kashmiri saffron are very long and with thick head. They are dark red color. The quality of soil and suitability of climate have significant impact on size of stigmas. There are three grade of saffron that are available in Kashmir. Lachha saffron, Mongra saffron and Zarda saffron. Kashmiri saffron is well known for its exotic aroma and as a flavor in culinary preparation. Kashmiri saffron has deep dark maroonish-purple hue. 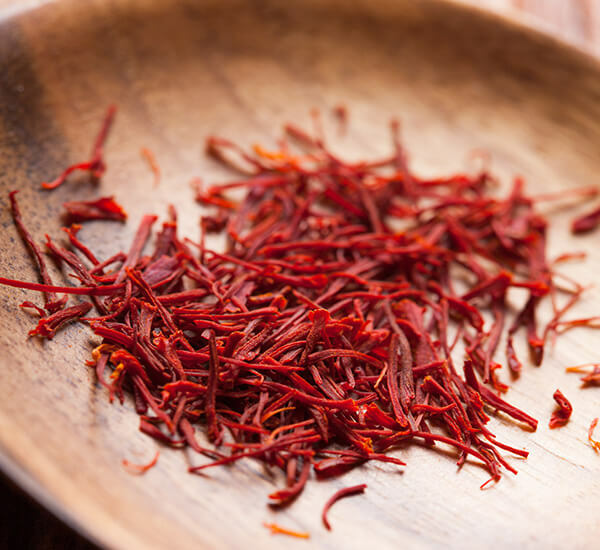 While Persian saffron has about 70% of total world production, in case of quality Kashmiri saffron is the best and finest. One of Iran’s products that they proud of is Saffron. Saffron is one of the world’s most expensive spices. One of the reasons behind this high price is the fact that this plant cannot be found except in a handful of places. Hence, saffron has been nicknames the red gold. 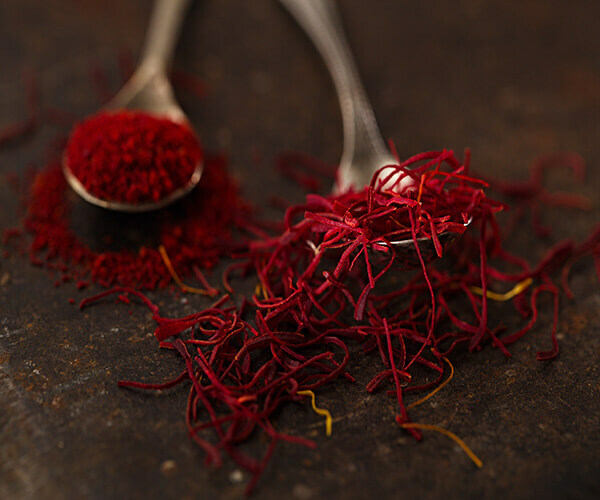 Though it’s able to find saffron in a few places besides Iran, Persian saffron has no rival when it comes to its excellent flavor, mesmerizing color and outstanding quality. Iran usually tends to be the biggest producers and exporters of many of its domestic products. Saffron is no different. 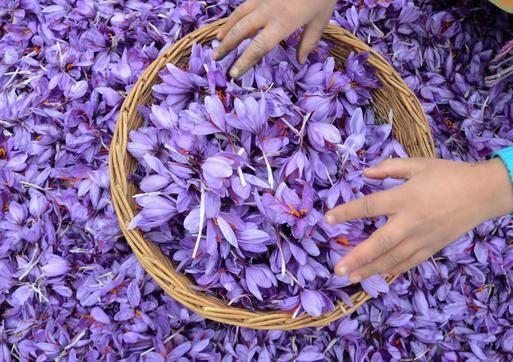 Iran covers about 70% of the world’s 250 tons of saffron production annually. 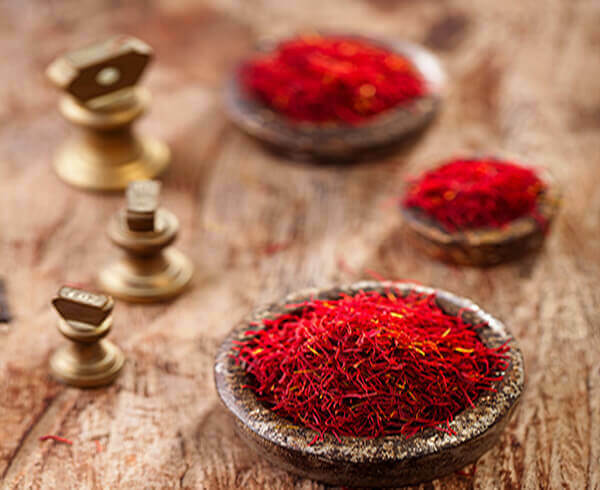 It is said that classical Persian is the very first language that has the use of saffron (or Zaferan, as more commonly known around Iran) registered in the cooking department. 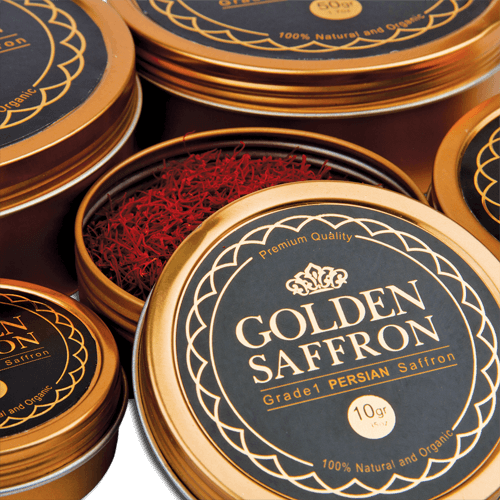 There are a few points that matter when it comes to the quality of saffron. 1. The age and maturity and the saffron is a very important point. Coloring power is the only measuring tool that assures you of consistent saffron quality. Pushal/Pushali: this brand is also mostly red stigmas, along with a small amount of yellow style. Bunch: a small amount of red stigmas plus a lot of yellow style and Possesses lower quality than the two above. Konge: only yellow style. This brand has the aroma of saffron, but barely has any coloring ability. 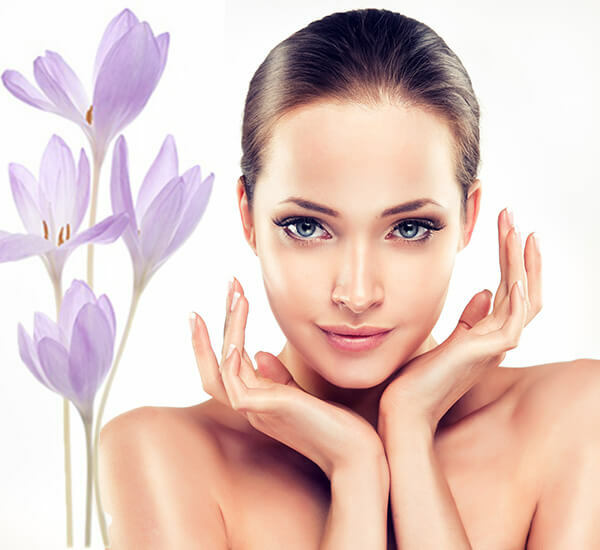 Apart from enhancing the features of dishes magnificently, saffron also has many medical uses. It is used to reduce a number of health sicknesses, and is used as a remedy to cure insomnia and reduce stress. Saffron is also a useful substance when it comes to weight loss, and fitness since it has an appetite receding effect. It is also of great use in the cosmetics and skin care facility as the various masks. Fresh and current season's threads. Saffron threads are dry and brittle to the touch. Saffron Could Cure Eye Disease!